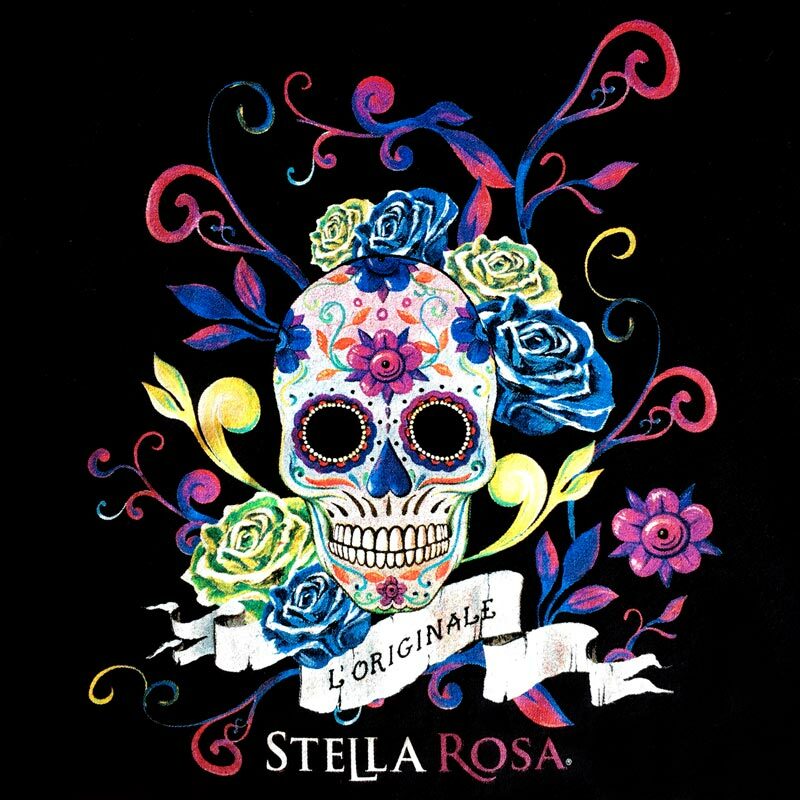 One of our favorite Halloween traditions is printing Stella Rosa Wines’ annual skull design on apparel for their gift shops. This year’s iteration did not disappoint, and has a beautiful mix of bold colors and soft tones in it’s eye-catching design. The Stella Rosa Wines brand is produced by San Antonio Winery, Los Angeles’ own historic wine maker; they just celebrated their 100 year anniversary last year. For more information, please visit the Stella Rosa Wines website, or read the recent LA Times article highlighting their particular style of wine.